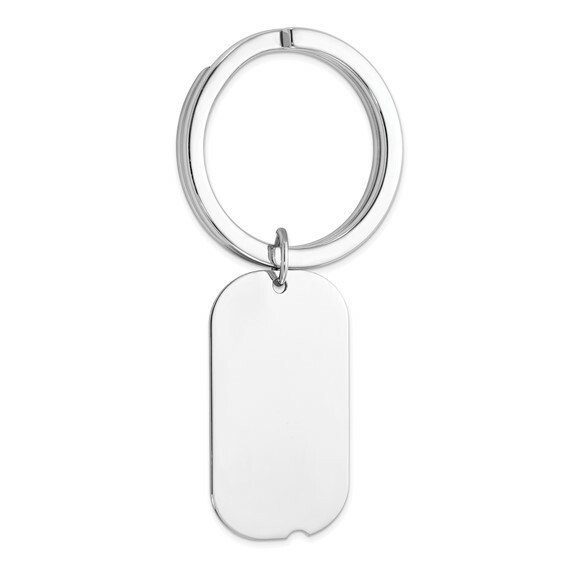 Sterling silver key chain has a dog tag shape and is palladium plated to resist tarnishing. Measures 2 5/8 inches tall by 1 5/16 inches wide. Weight:5.5 grams.